Indian Space Research Organisation, formed in 1969, superseded the erstwhile INCOSPAR. Vikram Sarabhai, having identified the role and importance of space technology in a Nation's development, provided ISRO the necessary direction to function as an agent of development. ISRO then embarked on its mission to provide the Nation space-based services and to develop the technologies to achieve the same independently. 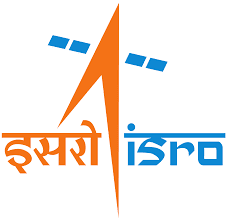 Today we are going to provide you ISRO Scientist/Engineer SC Previous Year Question Paper PDF to download for free. we know its so much difficult to find previous year question papers specially for diploma engineering students so we are trying to Provide all branch(Electrical, Mechanical, and Civil) previous year question paper in PDF format. You can Download ISRO Scientist/Engineer SC Previous Year Question Paper in PDF format in just one click. No need to search anywhere else. If you have applied for ISRO Scientist/Engineer SC post and looking for Previous Year Exam paper then you are at right place. we are providing you one-click solution for downloading ISRO Scientist/Engineer SC Previous Year Question Paper in PDF format.